3 Bedroom Detached House For Sale in Burnley for Offers Over £200,000. If a unique property is what you have been searching for, then look no further! 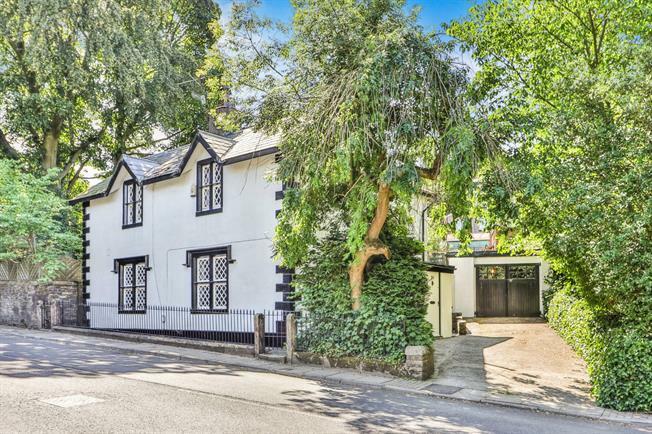 A rare opportunity to purchase this wonderful Grade II Listed detached family home offering a wealth of character and charm built circa 1840. Formerly two cottages which have been converted into one detached property providing deceptively spacious accommodation throughout. Comprising entrance porch, kitchen, dining room, lounge and study on the ground floor. Three extremely well proportioned bedrooms, bathroom and separate modern wet room on the first floor. The property provides wonderful outside space with south facing large gardens to the side and rear, a generous detached garage and private driveway parking for two cars. Entrance is gained at the side of the property into the porch providing access into the kitchen. Double aspect single glazed hardwood windows. Tiled flooring, built-in storage cupboard, spotlights. Double aspect double glazed hardwood windows. Under floor heating, tiled flooring, tiled splash backs, spotlights. Slate work surface, wall and base units, Belfast style sink with mixer tap, integrated electric oven, integrated gas hob, integrated standard dishwasher, integrated washing machine and fridge/freezer. Feature slate flooring. Access into the dining room. Single glazed hardwood window facing the front. Radiator and under floor heating, feature slate flooring, ceiling light. Access to the kitchen and lounge. Double aspect single glazed hardwood windows facing the front and side. Radiator and open fire set within a feature stone surround and hearth, wall lights and ceiling light. Parquet style flooring. Access to the study. Double aspect double glazed leaded windows to the rear and side overlooking the garden and door leading out to the side garden. Parquet style flooring, under stairs storage and stairs leading to the first floor. Radiator. Feature solid wood flooring, ceiling light, access to the bedrooms and bathroom. Double aspect single glazed hardwood windows. Radiator, fitted wardrobes, ceiling light. Loft access. Double aspect single glazed hardwood windows. Radiator, feature solid wood flooring, ceiling light. Loft access. Double aspect single glazed hardwood windows. Radiator, feature solid wood flooring, built-in shelving, ceiling light. Single glazed hardwood window facing the side. Radiator, original floorboards, ceiling light. Low level WC, sunken bath with mixer tap and shower over, pedestal sink. Double glazed hardwood window with patterned glass facing the side. Heated towel rail, tiled flooring, built-in shelving area, part tiled walls, spotlights. Low level WC, wet room, wall-mounted sink. Under floor heating. Externally the property provides substantial private gardens to the side and rear. To the side is a wonderful space comprising a detached summer house with power and raised decked seating area in front. Paved and gravelled areas, a further decked area and mature planted shrubs. To the rear there is a laid lawn area with fenced surround, decked seating area, enclosed hen pen and children's play house, secure gated access leading to the driveway and garage. The garage is a generous size with double door access, electric lighting and sockets. The private driveway provides parking for two cars.